The Colorado-based company had a three-year deal with Disney that led to remote control toys such as BB-8 and R2-D2 from Star Wars and Lightning McQueen from Cars. In our review of the latter, we found the $300 price tag to be too much for what you get, so it's no surprise Sphero thinks they are too expensive to produce. 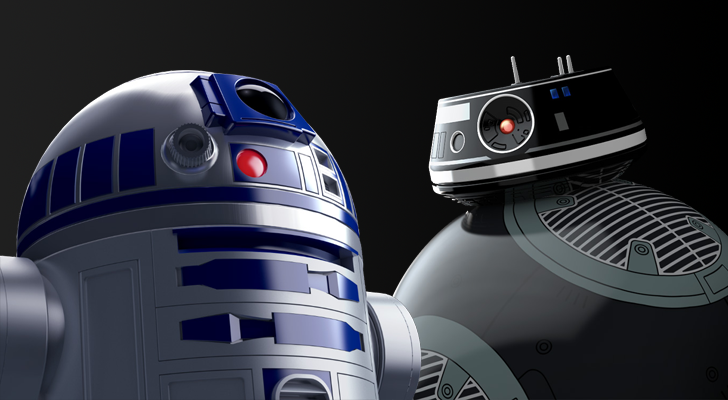 Speaking to The Verge, Sphero CEO Paul Berberian said that although these products sold well initially (in the millions for the BB-8), they couldn't maintain the same sales performance after interest in the movie dropped off, making them unviable in the long term. It's also hard to imagine that toys like the Marvel tie-in Spider-Man get much repeat play time after first use. At the start of the year, Sphero announced that it was forced to lay a number of workers off following a disappointing holiday season, so we can only hope that similar bad news doesn't greet its staff in the New Year.